The Environmental Protection Agency’s sole mission is to help protect community members from suffering from outdoor pollution such as smog, ozone and other chemicals in the air. So whose responsibility is it to take care of the pollution that happens inside? Well, you are. And if you think that’s not a big deal. Think again. Indoor pollutants can actually have a much more negative impact. And while there are some indoor pollutants that are obvious such as secondhand smoke, carbon monoxide, and radon, there more dangerous, hidden and surprising pollutants in your house. And since the average person spends 90 percent of their time indoors, you might want to be a little more concerned about the air that you’re breathing a majority of the time. Most homeowners buy a house and then immediately paint it. Of course, lead paint has been banned now in the U.S., but regular paint is also dangerous. 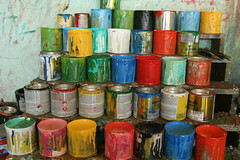 New paints release volatile organic compounds that have a range of negative health effects on those who breathe it in. If you want to avoid the effects of paint, make sure you ventilate your home well with fans and cracked windows. 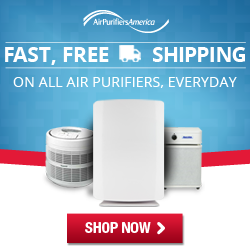 Air purifiers can also help to remove noxious fumes from the home. While it may seem like a way to keep dirt from flying around, carpets are actually a huge culprit when it comes to harboring pollutants that irritate your lungs, allergies, and asthma. Carpet is the perfect host for dirt, dust mites, dirt, fungus, and peed dander. Not only that, but cheaper carpets that were made with chemicals such as formaldehyde may “off gas” filling the room with fumes that can irritate the sinuses, throat and could cause lung damage and cancer, according to the EPA’s recent study. In fact, carpets can be so noxious that the American Lung Association suggests going cold turkey when it comes to carpets. If you have kids and can’t imagine a play field without carpets, they do make some carpets with nontoxic materials, but even those carpets still foster dirt, dander, and dust. It may seem unintuitive. Cleaning products help to remove allergens from your home, but actually, some home cleaners are releasing polluting compounds into the air. You can control these emissions in some ways by mixing your cleansing agents properly. Don’t mix a chlorine-based cleanser with an acid-based cleanser, which will put off chlorine gas. Other cleansers you buy off the shelf can contain toxic solvents, antibiotic pesticides and other noxious chemicals. 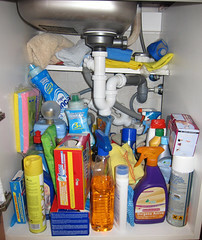 A better alternative to these products is a combination of vinegar and backing soda, which will clean just as well. You’re breathing your indoor air much more often than outdoor air, and you’re the only one who has control over it. Surprising materials in your home could be causing you and your family health problems that you don’t even know about at this point. Make sure you keep your eye out for possible fumes that you can’t smell but that could be hurting you.